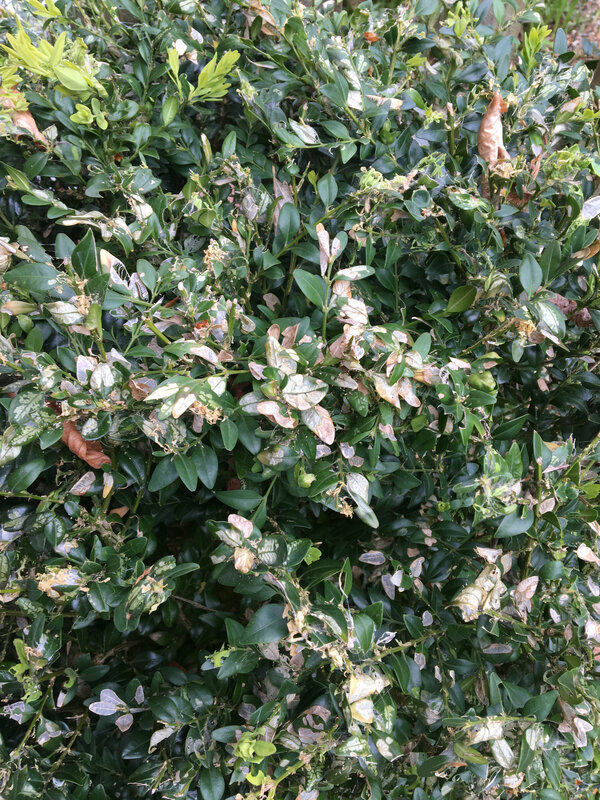 Our privet hedge is slowly dying. The leaves are turning brown in certain areas and leaving the hedge bare. I fear I may have spread it by passing something across when using the shears. Any advise on what this may be and how to treat it would be appreciated. It's actually a Box hedge, Buxus sempervirums. I don't know much about the problems with Box , but I'm sure someone else will. Give a section of the hedge a really good shake and see what falls out! thank you for the advice. Gave it a shake and definitely caterpillars there.